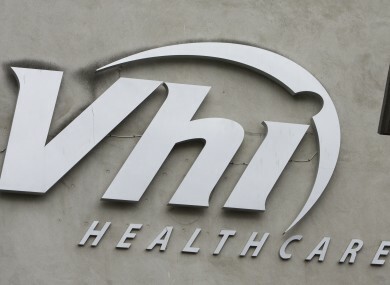 The proposal from the EU Commission said VHI’s state protection gave it an unfair advantage over its competitors. VHI HEALTHCARE HAS said a proposal by The European Commission to cease state protection of the company by the end of next year is “to be welcomed”. The Commission said the current statute of the VHI does not “provide for liquidation or winding up” and the company therefore enjoys undue financial advantages over competitors. It said if no agreement is reached on the proposed measures within one month, the Commission may open a state aid investigation. A level playing field on the Irish market for private medical insurance can only exist if all operators compete on equal market terms. The removal of the unlimited state guarantee to the Voluntary Health Insurance Board is essential to ensure that competition on this market takes place on the operators’ own merits. A statement from VHI said it is a strategic imperative for the company to be regulated and that it would be in the best interest of their 1.2 million customers. It said Central Bank authorisation “will allow Vhi Healthcare more commercial freedom to diversify its product range thus affording customers more choice and will help Vhi Healthcare maximise opportunities to drive revenue from different markets”. However VHI said it will have to satisfy the Central Bank that it has a sustainable business case over the next three to five years and the introduction of a robust Risk Equalisation Scheme is a pre-requisite to that. The health insurance company will now require additional capital in order to meet the Central Bank’s solvency capital requirements. Email “VHI welcomes EU proposal to abolish its state guarantee”. Feedback on “VHI welcomes EU proposal to abolish its state guarantee”.